Although many cities lay claim to being the ‘Paris of the East,’ St. Petersburg is one of just a handful whose assertion can be taken seriously. Like the French capital, it was a royal city that gave birth to a revolution and saw more than its fair share of war and turmoil. 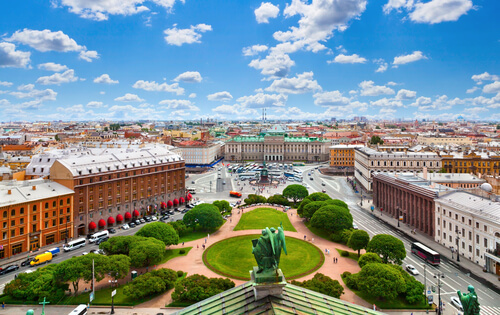 However, the Russian city outdoes Paris in its claim to be the ‘City of Light.’ In the summer, St. Petersburg has nearly 19 hours of daylight during the White Night period (mid-June to early-July) and nighttime is just a few hours of twilight. Wherever you are in this port city, the sky seems huge – no doubt accentuated by the downtown ban on tall buildings – and daylight accentuates the pastel yellow, blue and pink facades of the baroque and neoclassical buildings. To be honest, Paris is a tad grey by comparison. Interestingly, Russia’s nickname for its second city is ‘Window to the West.’ When Peter the Great built on land captured from Sweden by peasant conscripts and prisoners of war, his vision for the city – and the country as a whole – was a western one. Later, Catherine the Great was gripped by a similar modernist zeal, resulting in a gold rush for neoclassical architects who flocked to the city to bring their grand designs to life, bankrolled by the Romanovs. The results are breathtaking and UNESCO included the city centre on its World Heritage list in 1990. 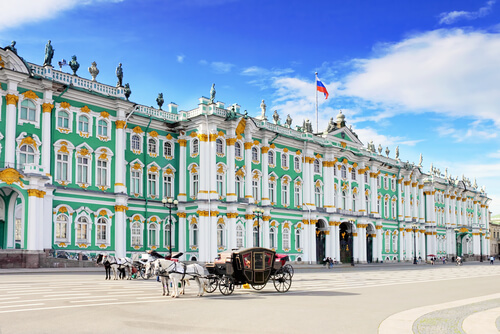 Highlights include the Winter Palace, the Tsar’s winter residence, which now houses the Hermitage Museum, one of the world’s best art galleries. 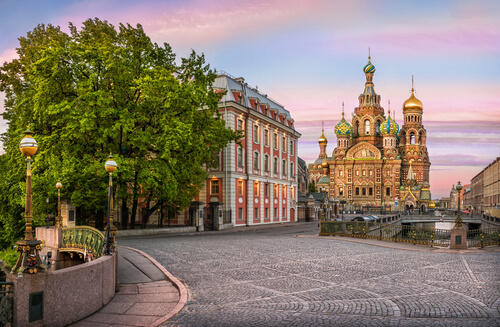 Nearby is the Church of the Savior on Spilled Blood, which was built in memory of Alexander II and stands on the spot where he was fatally wounded by an assassin’s bomb. Under the onion-shaped domes of this baroque architectural gem lie some 7500 sqm of mosaics, the most of any church anywhere. No visit to St. Petersburg is complete without a visit to the Museum of the Defense and Siege of Leningrad, a modest but moving museum which commemorates the worst 900 days in this vibrant city’s life when anywhere between 1.5 and 4.5 million lives were lost. 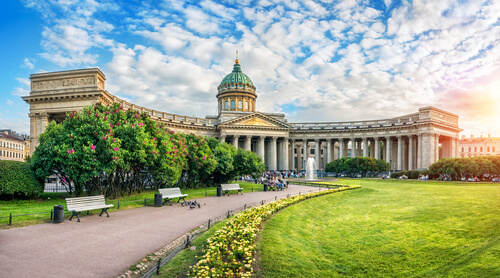 The huge Kazan Cathedral and Saint Isaac's cathedrals are both worth a visit, as are the Peter & Paul Fortress and the Russian Museum in the Square of the Arts, the Faberge Museum, and the Mariinsky Theatre, the place to see a ballet or opera performance. This Daughter of the Baltic is known for her offbeat attractions: try caviar and vodka tasting at the Vodka Museum, check out the life of the almost indestructible holy man at the Rasputin museum, see one of Pavlov’s dogs at the Museum of Hygiene and don’t miss the Dostoevsky Literary Memorial Museum. St. Petersburg is more widely known as the ‘Venice of the North,’ due to its 300 km of canals crossed by some 800 bridges. Again, the claim holds true. Take a boat trip around the Summer Garden Island in the heart of the old city to see everything from its imperial palaces to its historic shipyards or stroll along the palace-lined banks of the Moyka and Fontanka rivers. Nicknames aside, St. Petersburg’s real moniker tells the city’s own rich history. Originally named Sankt-Peterburg, to reflect Peter the Great’s love of all things German, it was changed to the far less Teutonic, Petrograd (Peter’s city) after the outbreak of World War I. This was followed by another revolutionary rebranding a few years later when Communists called it Leningrad to atone for its imperial past. The city’s name went back to its roots in 1991 and it was once again, St. Petersburg.